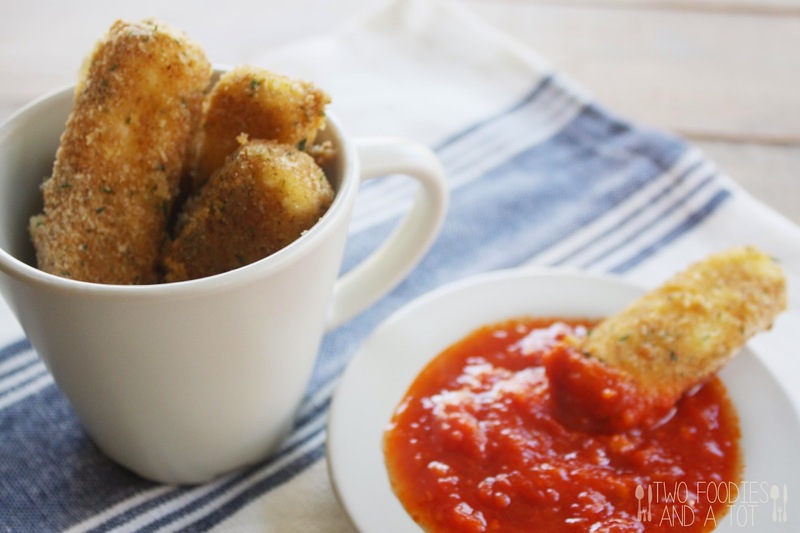 When my tot was a little younger, like any babies, cheese sticks were staple in hour house. If I gave him one stick, he would be quiet for a long time. But after some time, he grew out of these cheese sticks. Instead, he started to go for a little more flavorful cheese. If I give him Asiago pieces and string cheese together, he would only pick on Asiago. BUT! He still absolutely loves mozzarella sticks. The other day we baked a few of the last mozzarella sticks for a quick snack and he was not happy that there's no more. I promised him he could have more next time and he moved on. Then I was on it. 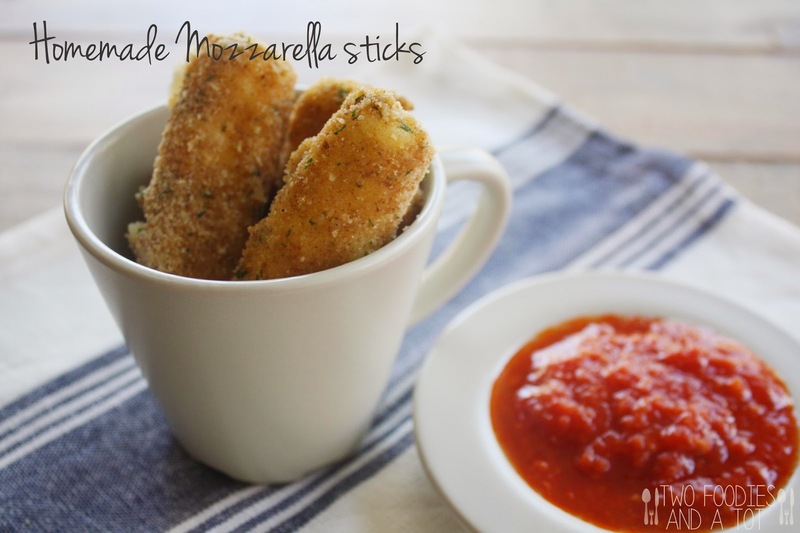 It's so easy to make and everybody loves mozzarella sticks, so it's good to have them in the freezer for last minute guests or a quick but filling snack. I have to admit, anything breaded and baked or fried is generally pretty fantastic. Since I'm making a little mess while breading anyway, I usually make a bigger batch and keep them in the freezer. 1. Cut the string cheese in half and freeze. Mix breadcrumbs with grated Parmesan cheese and set aside. 2. Coat the frozen cheese sticks with flour then egg, then breadcrumbs. You can fry them or bake them at 375F for 7 minutes. When baking, spray oil lightly on the bottom and top. *If not using right away, put them in the sheet pan in a single layer and freeze. When frozen, transfer all of them to a ziplock bag.